International man of mystery and fugitive from the NYPD Afroduck is now pursuing an appeal of his convictions for speeding around Manhattan at a breakneck average pace of just over 60 miles an hour. 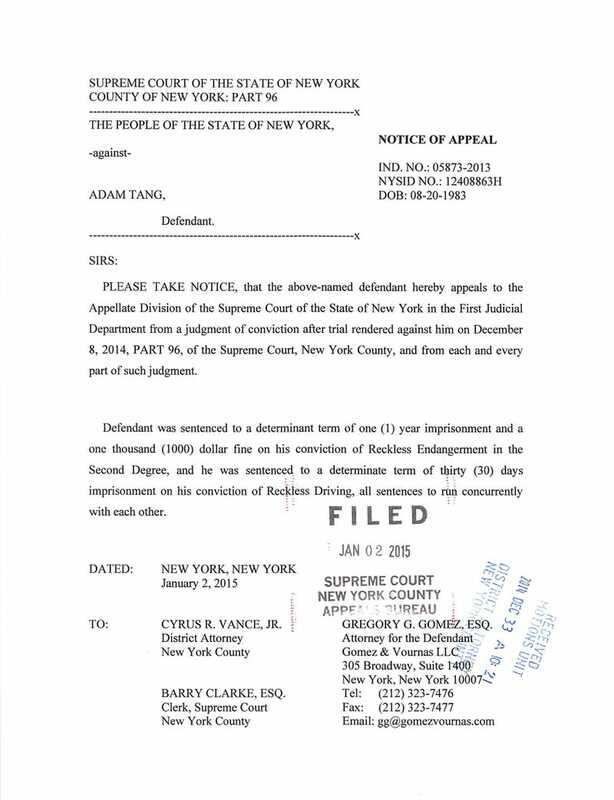 New York City sentenced Adam Tang to a year in jail for reckless endangerment in the second degree and 30 days for reckless driving, along with a thousand dollar fine. Those misdemeanors are described in Tang's appeal above. Afroduck is currently in his native Canada with his wife, $50 grand in the hole for this extended affair.